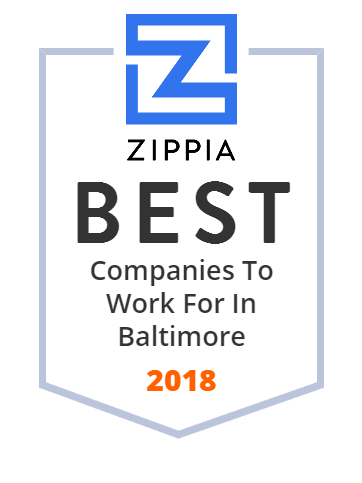 We hand-curated a list of the best companies to work for headquartered in and around Baltimore, MD using data on salaries, company financial health, and employee diversity. Founded in 1912, OneMain has been one of the leading companies in the diversified financial services industry ever since. This reputable organization offers personal loans for debt consolidation and major purchases, home improvement loans, and more. OneMain has around ten thousand employees with nearly a billion dollar revenue. Mid-Atlantic business lawyers working globally and locally in corporate, litigation, bankruptcy, employment, IP, technology, nonprofit, tax, real estate. LifeBridge Health is a nonprofit healthcare corporation that was formed in 1998 and currently operates several medical institutions in and around Baltimore, Maryland. The University of Maryland, Baltimore, is a public university in Baltimore, Maryland. Bon Secours Hospital is a hospital in Baltimore. The University of Maryland Medical Center is a teaching hospital with 757 beds based in Baltimore, Maryland, that provides the full range of health care to people throughout Maryland and the Mid-Atlantic region. Laureate International Universities are the for-profit universities and colleges owned and operated by Laureate Education, Inc. (NASDAQ: LAUR), of Baltimore, Maryland, in the United States. By 2015, the company owned and operated more than 200 programs, both campus-based and online, in 29 countries. Total student enrollment was more than 1 million students. Walden University is a for-profit Public Benefit Corporation, headquartered in Minneapolis, Minnesota. Walden University offers Bachelor of Science, Master of Science, Master of Business Administration, Master of Public Administration, Master of Public Health, Education Specialist, Doctor of Education, Doctor of Business Administration, and Doctor of Philosophy degrees in a number of academic fields. Walden is a part of a global network of 80 universities across 29 countries owned or managed by Laureate Education Inc. The Johns Hopkins University School of Medicine, located in Baltimore, Maryland, United States is the academic medical teaching and research arm of the Johns Hopkins University, founded in 1876. Sinai Hospital of Baltimore, Inc. provides health and health-related services to the people of greater Baltimore. It offers services in the areas of anesthesiology, dentistry, emergency medicine, medicine, obstetrics and gynecology, ophthalmology, orthopedics, otolaryngology, pathology, pediatrics, psychiatry, radiation oncology, radiology, rehabilitation medicine, surgery, urology, eye, limb lengthening, stroke, thrombosis research, vascular institute, allergy and immunology, dermatology, and endocrinology and metabolism. The company also offers medical education programs, including undergraduate and graduate programs to health professionals, employees, and the community. Sinai Hospital Of Baltimore, Inc. was formerly known as Hebrew Hospital and Asylum. The company was founded in 1866 and is based in Baltimore, Maryland. Sinai Hospital of Baltimore, Inc. operates as a subsidiary of LifeBridge Health, Inc. The United States Social Security Administration is an independent agency of the US federal government that administers Social Security, a social insurance program consisting of retirement, disability, and survivors' benefits. Rosemore, Inc. is a holding company which through its subsidiaries explores, produces, refines, and markets oil. Rosemore, Inc. was incorporated in 1989 and is based in Baltimore, Maryland. Clean Air Heating & Air Conditioning Co.